We all know that there are many types of concrete mixing station, such as HZS25, HZS35, HZS50, HZS60, HZS75, HZS90, HZS120, HZS180. So what are the feeding way of different types? Zhengzhou Camelway Machinery will tell you. Hopper feeding methods: hopper feeding method of the mixing station, such as HZS25 mixing station, HZS35 batching plant, HZS50 mixing station, HZS75 mixing station, the four kinds of concrete mixing plant are simple type concrete mixing station. Such mixing station can be modified according to user requirements into the belt feeding. Belt feeding methods: choose belt feeding method of the mixing station, HZS90 mixing station, HZS120 HZS60 mixing station, HZS180 mixing station, HZS240 mixing station above large concrete mixing station, etc. 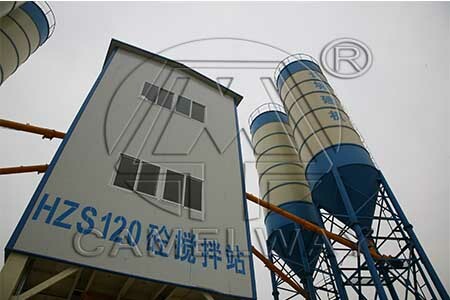 Zhengzhou Camelway Machinery is a professional production of concrete mixing plant equipment manufacturers and supply users with the most professional advice and site plan. We are looking forward to the masses of users to come to our factory to negotiate the transaction.